Traveling tips to enjoy and discover 3rd world countries! Many people I know are scared just by thinking about the idea of visiting a third world country. The reason behind the bad reputation of these countries is that the media only communicates to us about things that can catch the eye of the viewers: violence, crisis or natural disasters. How many times have you heard good things being said about a third world country in the news? I’m sure your answer may be none. Let’s clarify what is a third world country first: the term “third world country” describes poorer countries that have struggled to attain steady economic development such as Latin American Countries, African countries and some Asian countries. Let me tell you something: you’ll be surprised to know all the beautiful places you can discover in these countries. The fact that these countries like: El Salvador, Belize, Nicaragua aren’t as developed as the US or Europe allows them to keep amazing places hidden from the crowds. 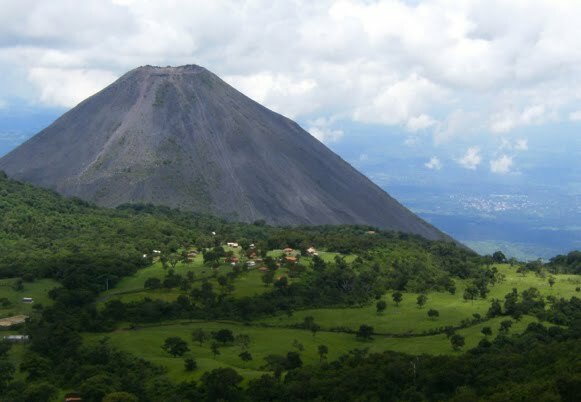 When I say Amazing places, I am talking about: great private beaches, Thermal Waters, Great Panoramic views, Volcanoes, colonial cities and much more. The main things that add value to these places are: friendly people, cheaper rates to pay and great foods to taste. -Be open minded: Remember you are visiting another culture this means things are not done the same way than they are done in your country. For example: Driving rules may be different, ethic rules are different, punctuality is not the same… Usually these countries are more lay back, they are not always rushing like people coming from developed countries; so if your tour gets delay a few minutes or an hour don’t be discourage; this is their culture for them it is normal and you are in their territory so be open minded and go with the flow. -Always be aware of your surroundings: As in any country, some areas are good and some are dangerous to be in. Make sure you ask a hotel concierge or make a research on the Internet before you go in order to know which places you should go to and which places you should stay away from. Doing this will allow you to discover the country without feeling threatened. -Discover food and enjoy it but don’t eat food from the street or at places that may look shady: To avoid getting a stomach bug make sure you eat only at places where you can feel comfortable eating or places that have been recommended on travel sites. This will save you a trip to the hospital and will save you from visiting all the restrooms around you. -Get a hold of a good tours company: At most of these countries not everyone speaks English or your language; going on a tour with a Guide who speaks your language will make your trip more enjoyable. As well, paying an organized tour will allow you to discover more in less time without having to worry about transportation, about what to eat or how to get to a place. Another advantage of being on a tour is that more likely you will find other people coming from your same country who you can share your experiences with and exchange ideas with. -Respect the culture that you are visiting: By respect I mean follow their rules and be friendly. A stuck up attitude won’t take you far. If you are a happy person and you show interest to learn more about the local culture locals will try to go the extra mile to help you discover their country and you will have a much better experience. Trying to speak a few words like “Hello”, “Thank you” or “Hola” and “ Gracias” can make wonders on how people will react towards you. -Don’t take too many valuables with you: Wearing your most expensive jewelry or being overly dressed will make you stand out from the rest and may attract those that are not following the local rules ( pick pocket or Steelers…). -Know your local embassy contact information and have it with you at all times: If you feel in danger or if you need help you can contact them and they will help you. They can also give you advice on places that you can visit and how to get there safely. -Make a copy of all your major documents and leave a copy of them in your hotel room safe box. Following these few tips will allow you to enjoy your trip best and to relax while you enjoy discovering a new culture and a totally different country. The experience may be so different and pleasant that you may want to keep discovering more third world countries around the globe. I hope these tips allow you to plan your next vacation at a third world country without having any fears. Feel free to add any other tips that can help someone discover third world countries without feeling threatened. I look forward to hearing some of your experiences after visiting one of these countries. Cheers! After research a number of of the weblog posts in your website now, and I really like your way of blogging. I bookmarked it to my bookmark website record and shall be checking again soon. Pls check out my site as well and let me know what you think. Thanks so much for giving everyone a very splendid possiblity to read articles and blog posts from this blog. It can be so pleasing plus packed with a great time for me personally and my office fellow workers to visit your site at least thrice in 7 days to read through the new things you have got. And lastly, I’m so certainly happy considering the striking things you give. Some 2 ideas on this page are indeed the most suitable we have all ever had. Simply want to say your article is as surprising. The clearness in your put up is just excellent and that i can assume you’re knowledgeable on this subject. Well along with your permission allow me to grab your RSS feed to keep updated with impending post. Thank you a million and please keep up the enjoyable work. I simply want to mention I am newbie to blogs and really liked this web site. Probably I’m going to bookmark your blog post . You surely come with beneficial articles and reviews. Thank you for revealing your web page. Having read this I believed it was really informative. I appreciate you taking the time and energy to put this content together. I once again find myself personally spending a significant amount of time both reading and leaving comments. But so what, it was still worth it! This is a very good tip particularly to those fresh to the blogosphere. Simple but very precise information… Many thanks for sharing this one. A must read post! I don’t have time to look over it all at the minute but I have saved it and also added your RSS feeds, so when I have time I will be back to read a great deal more, Please do keep up the great job. Can I just say what a relief to find somebody who really is aware of what theyre speaking about on the internet. You positively know how to bring a difficulty to mild and make it important. More individuals need to learn this and perceive this facet of the story. I cant consider youre not more in style because you definitely have the gift. I just want to mention I’m all new to blogs and honestly loved this page. Very likely I’m going to bookmark your blog . You actually have tremendous articles and reviews. Regards for revealing your webpage. guess I’ll just sum it up what I had written and say, I’m thoroughly еnjoуing youг blog. Needed to send you this tiny remark so as to say thanks once again for those exceptional strategies you’ve contributed on this page. It is so surprisingly open-handed with people like you to supply unhampered all that many of us would have made available for an e book to get some profit for their own end, principally now that you could possibly have tried it in the event you desired. Those techniques additionally worked to be the fantastic way to understand that most people have a similar desire much like mine to understand whole lot more with reference to this problem. I am certain there are several more fun opportunities ahead for people who look into your website. I have to show my appreciation to you just for rescuing me from such a predicament. As a result of surfing around throughout the search engines and meeting opinions which are not helpful, I figured my life was done. Being alive devoid of the solutions to the problems you’ve sorted out all through your entire guide is a crucial case, and ones that would have badly damaged my entire career if I hadn’t noticed your blog post. The competence and kindness in handling almost everything was valuable. I don’t know what I would have done if I hadn’t encountered such a step like this. It’s possible to at this point relish my future. Thanks for your time so much for your expert and amazing guide. I won’t think twice to refer the website to anyone who needs to have recommendations on this situation. I truly wanted to write down a quick message so as to appreciate you for these wonderful tactics you are posting on this website. My considerable internet lookup has at the end of the day been honored with good facts and techniques to exchange with my good friends. I ‘d believe that most of us visitors are undoubtedly endowed to exist in a magnificent website with so many lovely professionals with beneficial methods. I feel somewhat privileged to have used your website page and look forward to some more thrilling minutes reading here. Thanks a lot once again for a lot of things. Thank you a lot for giving everyone an extraordinarily wonderful opportunity to discover important secrets from here. It is often so fantastic and also packed with amusement for me personally and my office colleagues to search your website at the very least 3 times weekly to study the fresh things you have got. And lastly, we’re actually pleased considering the awesome strategies you serve. Selected 2 areas in this post are absolutely the best we have all ever had. I would like to get across my admiration for your generosity giving support to folks who require assistance with this important situation. Your personal dedication to passing the message all over was extremely valuable and have specifically allowed individuals like me to achieve their objectives. Your amazing informative hints and tips means this much a person like me and substantially more to my office colleagues. Best wishes; from all of us. I in addition to my buddies have been viewing the excellent tricks found on your site then then came up with a terrible feeling I never expressed respect to you for them. My boys appeared to be consequently excited to study all of them and already have undoubtedly been making the most of them. Many thanks for getting indeed accommodating and for getting varieties of superb tips millions of individuals are really desperate to learn about. Our own honest regret for not expressing appreciation to you sooner. I’m just writing to make you be aware of of the helpful encounter our girl found going through your blog. She realized many pieces, with the inclusion of what it is like to have an awesome teaching heart to make a number of people just comprehend a number of complicated matters. You actually exceeded our expectations. Thanks for delivering these useful, safe, explanatory and unique tips about the topic to Mary. I precisely needed to thank you so much again. I do not know the things I could possibly have done in the absence of the type of suggestions revealed by you on such a field. This was a distressing concern in my position, but coming across the very professional tactic you solved the issue forced me to cry for joy. I’m just thankful for your service and thus hope that you are aware of a powerful job that you are accomplishing educating the rest all through a site. Most likely you’ve never encountered all of us.